Seven suspects taken into custody in connection with laundering money from the Zeta Cartel. Lexington, Oklahoma – On early Tuesday, several hundred U.S. federal agents raided both the Tremor Enterprises Ruidoso stables in New Mexico and the Oklahoma 70-acre Zule Farms of José Treviño-Morales, 45, and arrested him and his wife, Zulema Treviño, 38, in connection with operating an elaborate multi-million horse purchasing, breeding, training and racing operation with alleged Zeta Cartel funding, according to an unsealed federal indictment. José and Zulema owned Tremor Enterprises, LLC, which focused on horse racing. 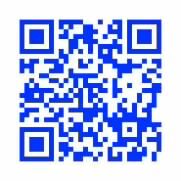 Tremor Enterprises was registered as a Domestic Limited Liability Company (LLC) on November 30, 2009 with the Texas Secretary of State and identified José Treviño-Morales as the President and Director, with office location in Balch Springs, Texas. The Zule Farms (ranch) was named after his wife. Feds confirmed that in 2008, both José who is a legal resident in the U.S. and his wife earned a combined income of $70,000 and in 2009, they earned a combined income of $60,000. In 2011, they were able to move to Oklahoma after purchasing the Zule Farms. U.S. Attorney Robert Pitman from the Western District of Texas announced that another 12 suspects were also indicted and five suspects have been also taken into custody in Ruidoso, New Mexico, Los Angeles, California and Austin, Texas. The five suspects arrested were identified as, Fernando Solis Garcia, 29, of Ruidoso, New Mexico; Carlos Miguel Nayen Borbolla, 26, Adan Farias, 32, Felipe Alejandro Quintero, 28, all three from Los Angeles, CA and Eusevio Maldonado Huitron, 4I, of Austin, Texas. Being sought are, Raul Ramirez, 20, of El Paso, Texas, Francisco Antonio Colorado Cessa, 51, of Veracruz, Mexico, Victor Manuel Lopez, 31, of Nuevo Laredo, Texas, Sergio Rogelio Guerrero Rincon, 40, of Mexico and Luis Gerardo Aguirre, 35, of Mexico. The five suspects remained at large, including the second in command of the Mexican Zeta Cartel, Miguel Ángel Treviño-Morales, 38, aka, “40” and his brother, Oscar Omar Treviño-Morales, 36, aka, “42” believed to be in Mexico and are both brothers of José Treviño-Morales. If convicted for conspiring to launder money, the suspects face up to 20 years in a federal prison. The U.S. has offered $5 million reward for any information leading to the arrest of Miguel Ángel. 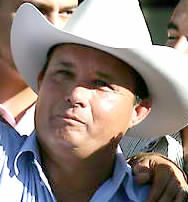 The federal indictment states, both Miguel and Oscar conspired to funnel hundreds of millions of dollars from illicit Zeta drug cartel sales from Mexico to Tremor Enterprises operated by José and his wife to be used for the purchasing, breeding, training and racing of American quarter horses in the U.S. The money laundering scheme began in 2008 and in 2010 a tip led federal authorities to investigate a $1 million dollar purchase of two prize quarter horses. The federal probe discovered that the Zeta Cartel had funneled about $1 million a month to Tremor Enterprises and other business fronts operated by José and other suspects named in the indictment. The Zetas in Mexico had business owners invest and provide hundreds of thousands of dollars to purchase horses from their bank accounts in Mexico, then the Zetas would reimburse them and the horses ownership would be transferred to Tremor Enterprises, according to the indictment. Jose and his wife acquired more than 400 horses (stallions and mares) by using various clandestine business fronts in Texas, California, New Mexico and Oklahoma to hide their involvement and ownership. Tremor Enterprises managed to win at least three major horse races totalling $2.5 million in winnings, according to the feds. The indictment seeks the forfeiture of multiple quarter horses, including three that are prize winners. The feds provided care for about 384 horses and seized 41 horses, including the following. Tempting Dash, who won more than $600,000 on October 24, 2009 in the Dash for Cash race at the Lone Star Park race track in Grand Praire, Texas. Mr. Piloto, the $1 million winner of the All American Futurity at Ruidoso Downs, NM on Labor Day, 2010. Dashin Follies, who was purchased for $875,000 and Coronita Cartel. The feds are seeking forfeiture of properties, including a farm and a ranch in Bastrop County, Texas, equipment and money from three bank accounts used in the Zeta Cartel money laundering scheme in the U.S. They are also seeking a judgement for $20 million that was generated from the scheme. This entry was posted on June 13, 2012, 5:38 am and is filed under Uncategorized. You can follow any responses to this entry through RSS 2.0. You can leave a response, or trackback from your own site.